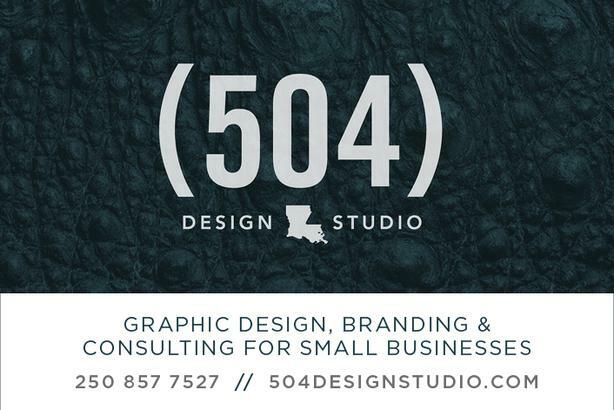 504 Design Studio is a small studio for small businesses. Don't blend... get noticed and get business. Graphic design is a solid investment for any small business. Stand apart from your competition with a professional, branded image. With a strategic marketing campaign and effective design, you can attract more customers and build your brand. Let us help you reach out to your target audience while promoting your business through community awareness. Our goal is to promote good design and brand the little guy. We offer both print and web design services, so whether your small business needs a new logo, a promotional brochure or a new website, we can help. We'll also work directly with third party vendors and printers to ensure you get exactly the finished product you're looking for. Please check out our services page for a more detailed list of what we can offer you.